Disclaimer: Just Happiling was not compensated with any of the products described in this post, nor in the linked review. However, all opinions within the first paragraph are 100% our own. The rest of the post is promoted as is, as part of a campaign for the product and from by the host of the event. If you'd like Just Happiling to host a giveaway or write a review, send us an email to justhappilin(at)gmail(dot)com. 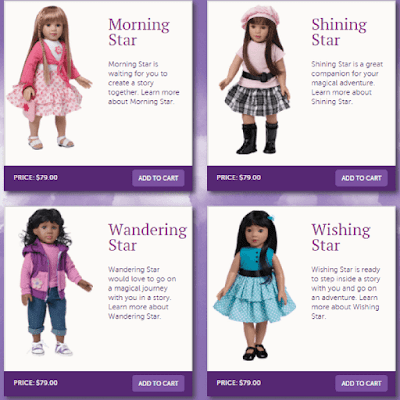 We love dolls! Ever since I was a child, having a doll automatically connected me with my mother. In some part, because she passed on some of her favorites to me, and on the other hand, because they encouraged my maternal instinct. Not only were they the stars of many of my imaginary adventures, but they have become an artistic expression within my life, which constantly inspire me to enjoy them. This is why I've joined a great group of bloggers, to bring our followers the opportunity to win a very beautiful 18.5 inch Starpath Doll. 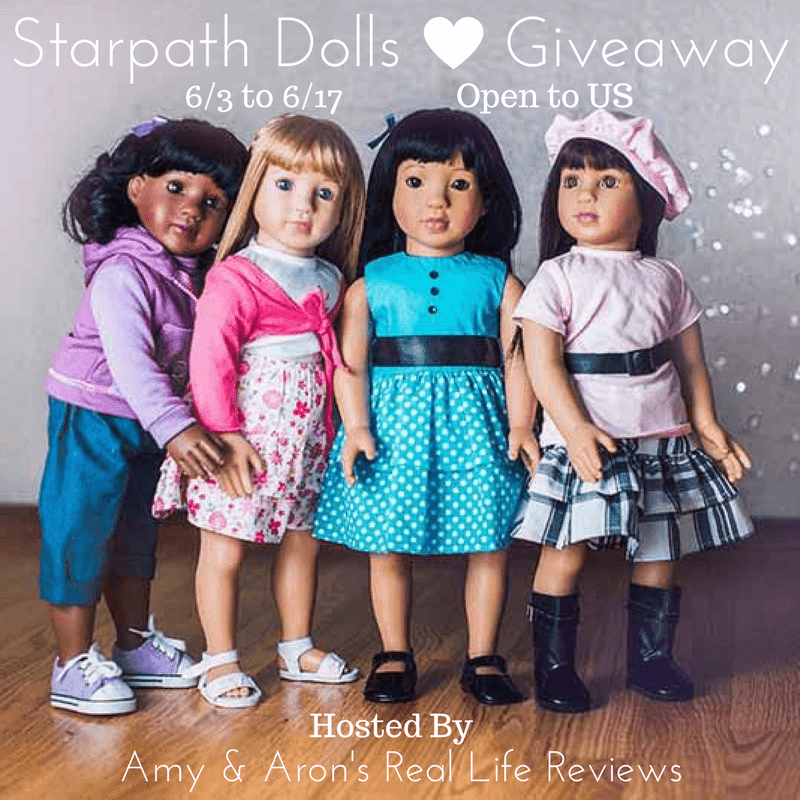 Don't forget to share with your friends who also love dolls as much, and would like the opportunity to win. Good Luck! This giveaway is open to residents of the United States only. Must be 18 years or older to participate. This giveaway is not sponsored, hosted, nor in association with any social media venues, therefore by entering you agree to release such venues from any liability. You also agree to release Just Happiling and any other promoting blog from any liability. Prize fulfillment is the sole responsibility of the sponsor of the event. By entering this giveaway, you acknowledge that you have read and agreed with all the terms and conditions regarding this event. The event will run from 06/03/17 to 06/17/17. One lucky winner will be chosen by the end of the giveaway and will be contacted through the email provided. Failing to claim prize within 24 hours will lead to a new winner being chosen.